The Internet of Things (IoT) is changing our lives. It is a broad phenomenon using a wide range of technologies to develop many applications for various markets including retail, manufacturing, logistics, agriculture, automotive, and healthcare. But, there is another IoT market that also is developing rapidly: Consumer IoT (CIoT). CIoT focuses on connected devices that can help consumers with their daily lives. These devices and applications can range from simple ones, typically worn on the body (smart watches, fitness trackers, etc.) to high-end automation applications for the home. Among these emerging technologies for the home that are nearing a mainstream tipping point are smart kitchen appliances. In fact, experts predict that smart kitchens will become a $10 billion industry. The success of smart kitchens will be attributable to the fact that this tech improves nearly every aspect of cooking. As an example, a smart oven can connect to apps that provide cooking tips. Smart kitchens also cut down on waste. This technology tracks how long items have been in your fridge and notifies you when they’re nearing their expiration date. For some, improved nutrition is the primary appeal of smart kitchens. Smart kitchens keep track of food ingredients and suggest specific food to improve each unique user’s health. Add in the fact that smart kitchens will automatically shut off heat after use to prevent fires. This is one of the many reasons why people are so excited about this technology. Let’s look further into some of the benefits of smart kitchen technology. If you are like most people, you do not look forward to the cooking process. With smart kitchen appliances, you will save time in the kitchen. 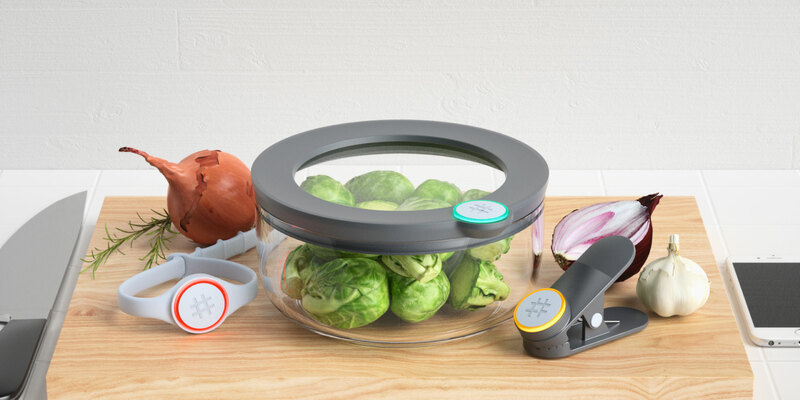 These futuristic appliances explain the steps of the cooking process, analyze cooking preferences, and make food preparation that much more efficient. It is even possible to control cooking appliances like slow cookers in a remote manner with a smartphone app. Take a moment to think about how nice it will be to have a smart refrigerator featuring an LCD screen that provides information about its products, expiration dates, and your grocery list and so on. Each of the smart kitchen improvements detailed above facilitates cooking, making it that much easier for the average person to create tasty dishes in surprisingly little time. Perhaps most important, consuming more nutritious food prepped in a smart kitchen will encourage people to eat healthy homemade dishes, as opposed to unhealthy fast food. The aim is not to replace the cooking process but make people better at preparing nutritious food. Instead of learning from elders while hanging out in the kitchen, youngsters will soon learn from smart kitchens tech. Connectivity is quickly spreading from the living room to the kitchen and beyond. Connectivity in the kitchen helps people consume truly healthy meals. As an example, tech has emerged that serves as a personal nutritionist, helping users achieve their nuanced health goals in the most efficient way possible. Smartphone apps can now provide fully customized dietary programs approved by experienced doctors. It is even possible for apps to identify foods, scan food products for nutritional information, search restaurant menus and even track macronutrient/micronutrient consumption throughout the day. GE’s remote enabled oven’s allow you to control your oven from anywhere with an app, eliminating safety risks. Unveiled at CES 2018, Samsung’s Family Hub smart refrigerator, featured a new “Meal Planner” asset. Enabled by cameras inside the fridge, this feature makes suggestions of what to cook based on what’s already in your fridge, eliminating the hassle of going to the store to buy additional ingredients. This refrigerator will also be able to provide cost savings and eliminate food waste. By taking into account how long the items have been in the fridge, Family Hub will make suggestions based on what ingredients have the possibility of expiring soon. Smart kitchen devices like smart cooktops replace the conventional cooktops. There is no need to guess if the temperature is correct because the app transmits cooking settings straight to the cooktop. This nifty little device makes cooking enjoyable. All you need is an iPad or an iPhone. The device’s screen displays visual recipes in a step-by-step manner and helps you measure the perfect amounts for your recipes. If you decide to alter the recipe or if you do not have an ingredient, this gadget will adjust the other ingredients as appropriate or provide alternative choices for suitable substitutes. This scale is completely wireless and connects directly to the iOS device to help you make flawless dishes without exception. Smart gadgets can even help you track the nutritional information of ingredients used in your dishes, so you stay within the limitations of your diet. Pick up this smart kitchen appliance and you can make coffee from afar. All you must do is pick up your tablet or smartphone, press a few icons and the coffeemaker will start brewing. You can even use your mobile device to reorder coffee capsules. If you are worried about the quality of the coffee and taste produced by such a machine, don’t fret! This coffee is revered by coffee aficionados around the world. If you watch cooking shows, you have likely heard about the sous vide cooking method. Sous vide relies on hot water baths to cook meat and other items to perfection. The food is placed in an airtight bag and cooked entirely in water. Give the precision cooker a try and it will empower you to try this cooking approach from a distant location. Simply place your food in the plastic bag and use your mobile device to start the cooking process while at work or elsewhere. It is now possible to add a wireless camera to your refrigerator to see exactly what you have inside from any location. You could be at work, the store or elsewhere and still be able to see exactly what sorts of ingredients you have. This way, you won’t end up buying two of the same thing. This gadget lets you aerate red wine before drinking it. This feat is accomplished with the pulling of air through a molecular filtration system with multiple layers. Plenty of wines taste that much better after they are given a chance to breathe. The aeration produces oxidation that softens wine tannins. The result is wine that tastes and smells fantastic. Give this smart kitchen appliance a try and you will find it merely takes a couple minutes as opposed to hours to aerate your favorite wine. Anyone who has bought fresh herbs from the store knows they go bad rather quickly. Make use of a smart garden and you can grow your own herbs inside. No longer will you have to attempt to salvage herbs that have gone limp. This is one of the more intriguing smart kitchen appliances as it performs the difficult work on your behalf. This gadget has a water tank that holds enough water for an entire month of herb growing.